Air Italy (3rd) is launching two new California routes from Milan (Malpensa) in the spring 2019. The rejuvenated carrier is launching a new route to Los Angeles (four days a week) on April 3, 2019 followed by San Francisco (four days a week) on April 10, 2019. In other news, the airline launched a new route from Milan (Malpensa) to Delhi yesterday (December 7) (below). This will be followed by a Milan (Malpensa) – Mumbai route starting on December 14, 2018. 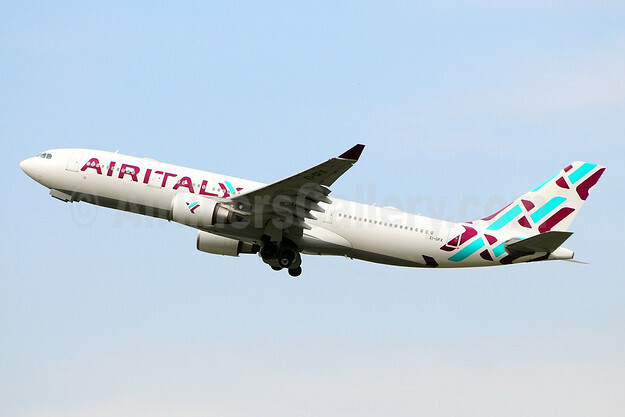 Top Copyright Photo (all others by the airline): Air Italy (3rd) Airbus A330-202 EI-GFX (msn 571) ISS (Marco Finelli). Image: 942229. This entry was posted in Air Italy (3rd) and tagged Air Italy (3rd), Airbus A330-202, EI-GFX, msn 571 on December 8, 2018 by Bruce Drum.